South Creekside Apartments in Fayetteville, Arkansas offers a maintenance-free apartment living experience like no other. With one two, and three-bedroom floor plans, South Creekside guarantees that you will find the perfect apartment for you, your roommate, or your family. Boasting many newly renovated features and modern conveniences, our apartment interiors will please residents from all walks of life. At South Creekside Apartments, you will discover unlimited possibilities to improve your lifestyle. We are accessible to the U of A bus line and less than three miles from Interstate 540. 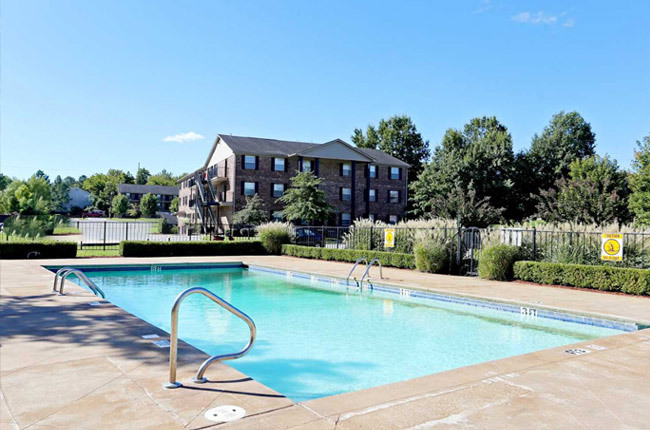 Best of all, this apartment complex is the closest of its class to the University of Arkansas! Whether you are looking for off-campus student housing or are just in the market for affordable apartment living with all of the amenities, South Creekside Apartments is the ideal place to call home! At South Creekside Apartments, our central location is our greatest amenity. We are a ten-minute walk from the University of Arkansas, making our location a perfect place for university students and staff to settle down. Take comfort in one of the many restaurants surrounding our community. Grab a slice at Geraldi’s or Wood Stone Craft Pizza, satisfy your craving for authentic southern barbecue at Sassy’s Red House, or bite into a delicious, juicy burger at Hugo’s. In addition to top-notch dining, a fifteen-minute drive leads to a haven of shopping at Northwest Arkansas Mall, which boasts establishments such as Banana Republic, American Eagle Outfitters, Dillard’s, and Sears. In the same area, you’ll also have the convenience of a nearby Lowe’s, Academy Sports + Outdoors, Best Buy, Barnes & Noble as well as a Malco Razorback Cinema where you can catch the latest Hollywood blockbuster! With many activities to keep you entertained, South Creekside Apartments provides fulfillment to your every desire.